Comprehensive review of Hangover Destroyer. 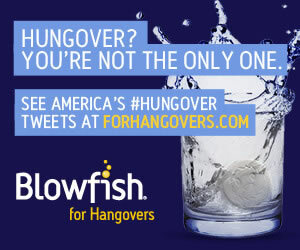 See what real experts and actual users have to say about this hangover cure. 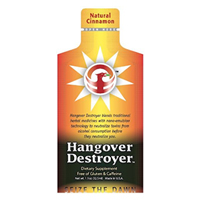 Hangover Destroyer is one of my least favorite hangover products out there. Even though it contains vitamins and antioxidants, it tastes disgusting which is really what prevented me from ranking it very high. I tried the minty flavor; it tasted and felt like toothpaste- YUCK! I thought maybe the gross taste would be worth it if my hangover symptoms were prevented or just greatly improved. Unfortunately, my symptoms didn’t improve much from using this product, which is a major bummer. On the plus side, Hangover Destroyer has some good ingredients, no major side effects, and a 30-day money back guarantee. Overall though, the taste and ineffectiveness of it is just too much to overcome! I couldn’t give it more than 1 star because many other products contain similar ingredients, taste better, are easier to use, and actually work. Hangover Destroyer is pretty simple to use. You can take it before, while, or after drinking. I used it before bed. Essentially, you need one packet for every 5 drinks. I suggest taking one before drinking and one when you finish because it might have better results that way. The downside is that it tastes terrible, so it’s not easy to take and finish. This is by far the worst aspect of Hangover Destroyer. It tastes and feels like toothpaste. I thought it was absolutely disgusting. And it lingered for quite a while after I took it. Unfortunately, Hangover Destroyer really didn’t do much to help my hangover. I did notice that my headache was a little less intense, but the rest of my symptoms really weren’t much better (maybe a little bit). Overall, I didn’t feel enough of an improvement to forget about the gross taste. I wouldn’t say it is worth it. This product contains a blend of vitamins and antioxidants. The major antioxidant that it contains is Dihydromyricetin (DHM). It’s a natural extract of the Oriental Raisin Tree and is believed to greatly reduce hangover symptoms. Milk Thistle is another ingredient in there. It’s a popular herbal remedy for a hangover due to its long history of having been taken to help protect the liver from damage. This product contains many healthy ingredients that are believed to help with metabolism, liver protection, and overall digestive health, which is why I was surprised by the limited results that I experienced. The only negative would be the aftertaste (it lingered all night and the next day), but that doesn’t exactly qualify as a side effect. Hangover Destroyer costs $19.50 for 5 packets on their website. That works out to $3.90 per serving. Less than $4 is a pretty good deal, but it’s not a product I enjoyed so any price seems too steep to me. Hangover Destroyer has a 30-day money back guarantee. Basically if you are dissatisfied in any way, you can return the product with in the 30 days for your money back. I love that there is a money back guarantee. Side Effects None except the horrible taste!